Have you ever experienced a brain cramp after a long day? It’s that ache that begins to saturate your forehead and pool into your temples. It’s our brain telling us to slow down, because it’s no longer being productive. Today, everyone is constantly throwing more tasks and information at us, and it’s impossible to deal with it all. Our modern day solution is to resort to consuming caffeine or simply toughening up and persisting to increase productivity. It doesn’t have to be this way! Throughout much of the 20th century, scientists disregarded the idea that our brains might be productive during rest. 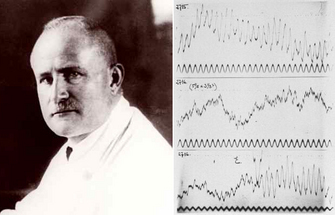 It wasn’t until 1929, that German neurologist Hans Berger disproved this notion using an electroencephalogram (device that measures brain impulses) to propose that the brain is in constant activity. Our brain consolidates recently accumulated information, and essentially rehearses recently learned skills. Most of us have observed how, after a good night’s sleep, the vocab words we struggled to remember the previous day suddenly leap into our minds or that technically challenging piano song is much easier to play. Dozens of studies have confirmed that memory depends on sleep. We’ve all wanted to squeeze in that extra few hours of learning in the day, despite how tired we feel. These studies show that you’ll be much more productive resting your brain and picking it up again when you’re fresh! So what are some of the best ways to rest your brain?